Major species of fish, in Fish Creek, Square, and Rollins Ponds are black bass, northern pike, and pan fish. 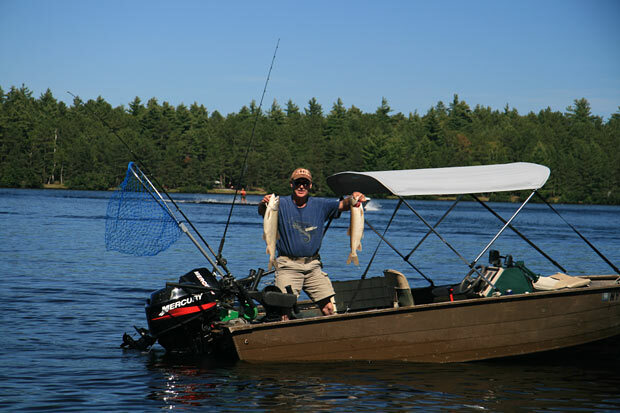 Upper Saranac Lake offers these species, plus lake trout and land locked salmon. Black and Whey Ponds have brook and rainbow trout. Do not forget you're fishing license if you are over the age of 16! 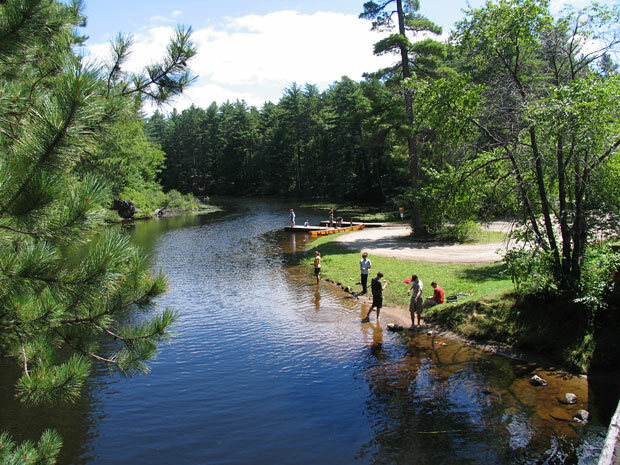 A popular spot for the kids is the boat launch, across the road from site 34. A truck also passes through the park with canoes for rent each day.